I installed a new top on my Coupe but tried to keep the original sunvisor in place. The metal frame inside the visor cracked in 2 places, pierced the covering, and the wind from driving and towing was collapsing it, so I was forced to create a new frame and recover it. 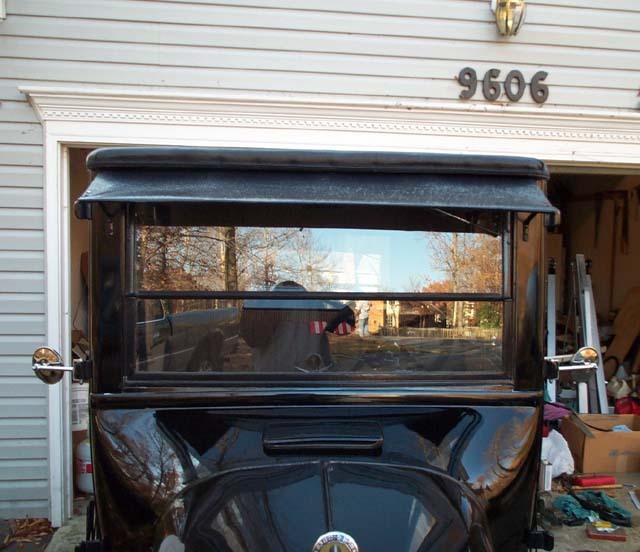 With a little work, you can create this Sun Visor for a 1924/1925 Coupe.